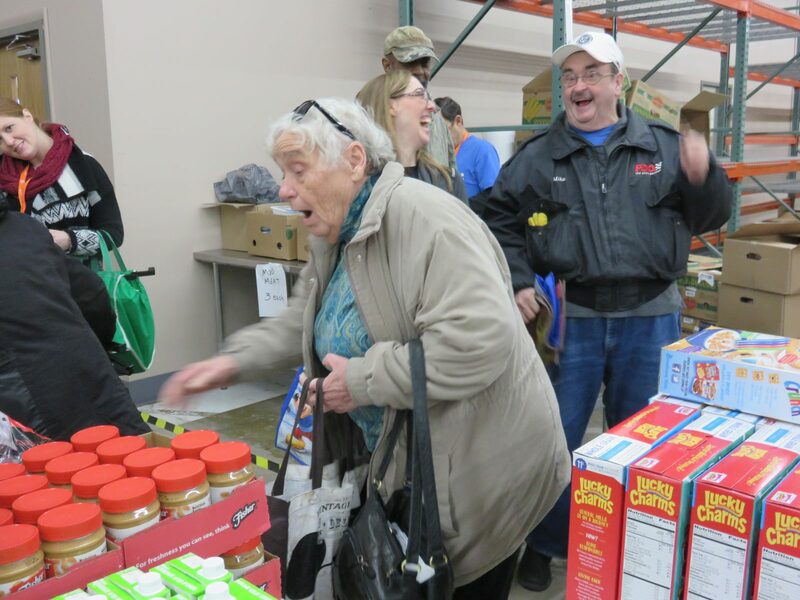 Every week, Northern Illinois Food Bank serves 71,500 hungry neighbors, nine percent of whom are over the age of 60. That’s more than 6,000 seniors every week. 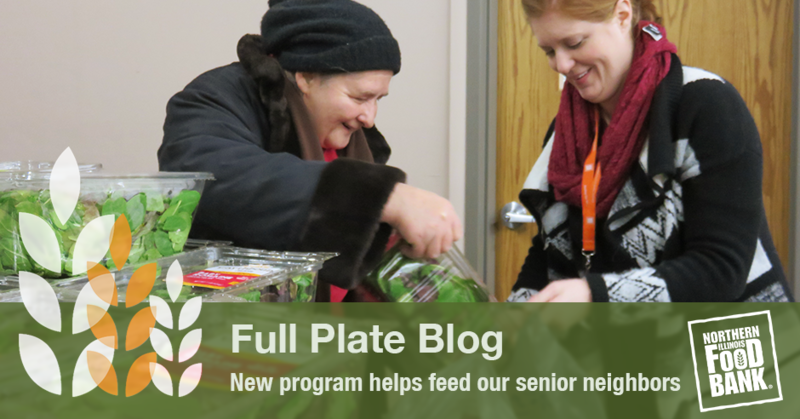 We at Northern Illinois Food Bank are dedicated to taking one tough choice – choosing between paying for medicine and paying for groceries – off the plates of seniors. We’re constantly looking for ways to be innovative in helping our senior population. One new way the Food Bank is working to better meet the needs of seniors facing hunger across Northern Illinois is through The Senior Grocery Market. 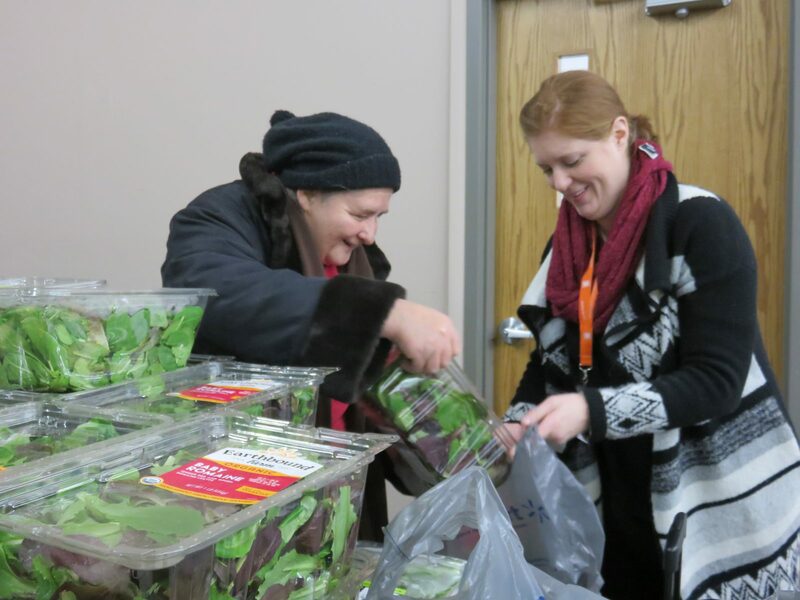 Piloted in February 2017, and hosted at Northern Illinois Food Bank’s Northwest Center in Rockford, the program strives to increase seniors’ access to nutritious foods that will support their overall health and well-being, and provide a safe environment among peers to lessen the stigma of receiving food assistance. On February 2, 2017 the first Senior Grocery Market was held at the Food Bank’s Northwest Center in Rockford. The inaugural Grocery Market welcomed 81 hungry neighbors who were 60+ and in need. We also had homebound seniors that sent proxy shoppers on their behalf. The Senior Grocery Market also features programming that not only focuses on providing a variety of fresh produce and meat for seniors to bring home, but also incorporates educational activities, such as nutrition and food preparation demonstrations by the University of Illinois Extension, health and wellness education by Oak Street Health, and fire safety education with the Rockford Fire Department. The Senior Grocery Market distributions are held twice per month, and are open to all hungry neighbors in the Rockford area. A volunteer from General Mills who helped during this day’s Market felt from the experience, “I am making a difference in someone’s life today!” How incredibly powerful it is to come together from across Northern Illinois to make a real difference in the lives of our hungry neighbors. 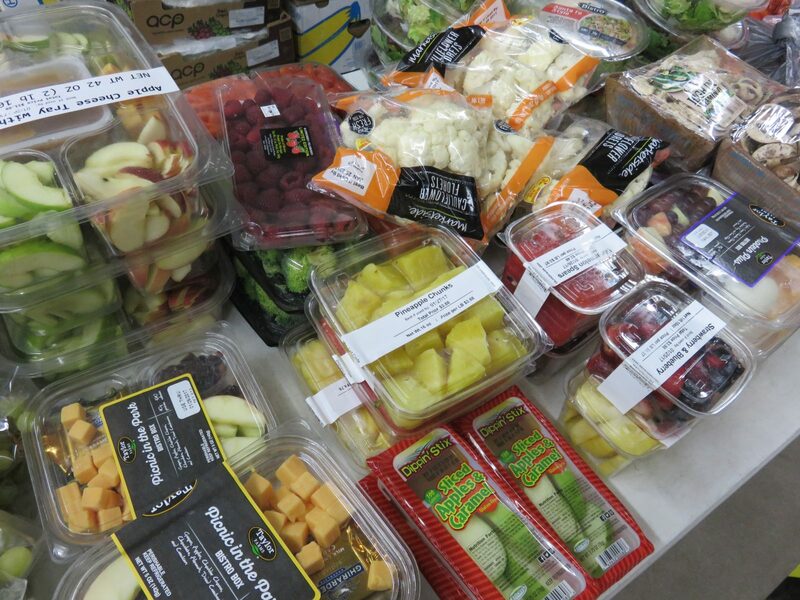 Thanks to the refrigeration, freezer, and warehouse space available at our Northwest Center in Rockford, we are able to store food for each distribution and reduce food waste. In just its first three months, the Senior Grocery Market has distributed more than 20,000 meals to more than 300 unique individuals to-date. The program has moved out of its pilot phase and will continue to impact the community in Rockford. We can’t say THANK YOU enough to all the wonderful volunteers, organizations and corporations who have volunteered their time, passionate hearts, minds and hard-working hands to help make each Market a success. Your support is truly enabling us to better serve the aging population in Winnebago County, and for that, we are so grateful! If you, your organization or corporation is located in Winnebago County and you would like to directly impact lives through the Senior Grocery Market, please click here to sign up and volunteer.